Stay hydrated and refreshed on your upcoming Epilepsy Awareness walk with your own personalized Epilepsy Awareness Mugs & Drink-ware. It is very important to remember to take in the necessary amounts of water or favorite beverage when walking, running, or riding during an awareness event. MyWalkGear.com has trendy personalized water bottles and other drink ware for a fun benefit walk with family and friends. Make it a thirst quenching event with personalized awareness drinkware from MyWalkGear.com. 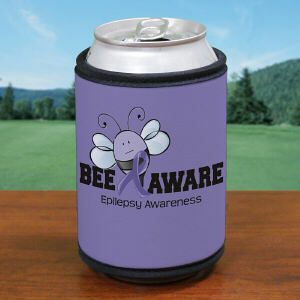 If you are walking to raise awareness for Epilepsy, you will need to drink plenty of fluids. 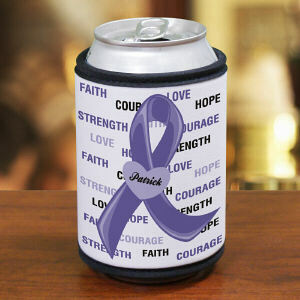 Quench your team's thirst all year long with Personalized Epilepsy Awareness Mugs and Drinkware. MyWalkGear.com offers a complete collection of Epilepsy Awareness Shirts & Walk Gear suitable for everyone to enjoy and look great. MyWalkGear.com is committed to help educate our customers by providing quality web sites containing educational information about Epilepsy. Learn More Today at www.Epilespy.com!